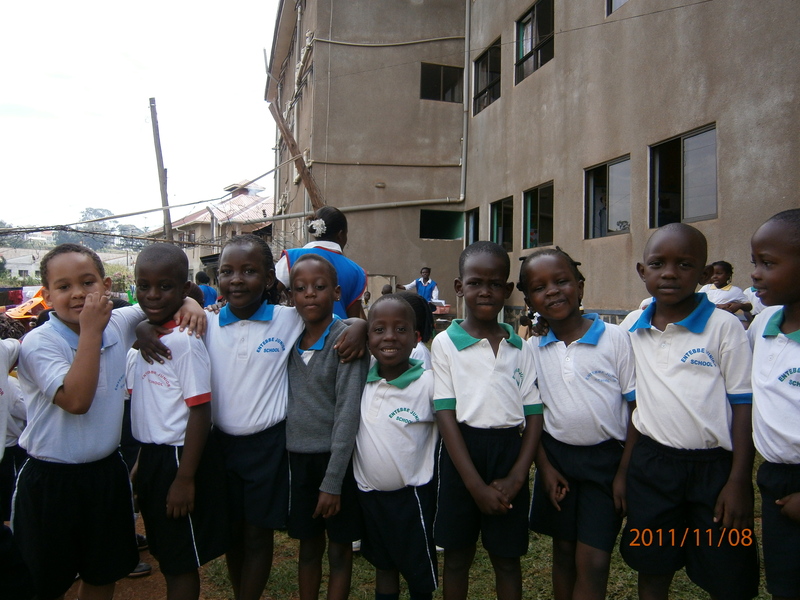 Thank you to everyone in Entebbe Junior School Uganda for an amazing trip. It was the experience of a lifetime and to fit so much into 2 days was even more amazing! The children in the school are so intelligent and creative. The Head Alacu John Bernard was presented with a certificate for their participation in International Peace Quilt at the Schools Assemblies. We spoke about the project how important Peace is in our World and how important it is for us all to live our dreams whatever they may be. 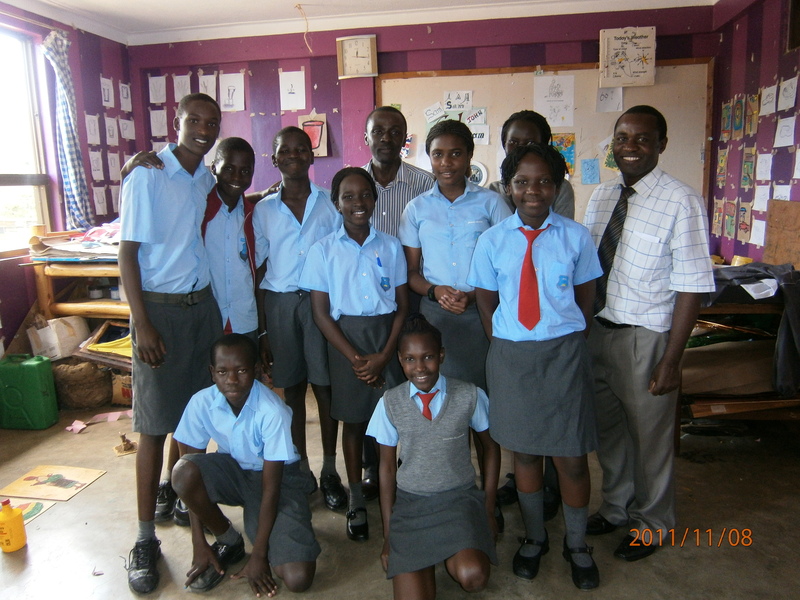 Teacher George declared that now Entebbe Junior School were Ambassadors for Peace in Uganda. 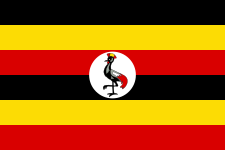 Teacher George will be bringing Ugandan International Peace Quilt to Uganda. This will be a branch of International Peace Quilt but will get to the grass roots of the country. We will support the school where neeeded in this endeavour. I met different sections of the school and noticed how very happy all the children were. The new International section has just been formed which is introducing the Cambridge International Primary. There are some teething problems here and the school are open to a teacher,x teacher or retired teacher coming in to help raise the system to the next level. This wonderful opportunity would suit some one that wishes to experience Uganda while also giving something back to the pupils and teachers. It is such a great place and the people are very friendly and welcoming. 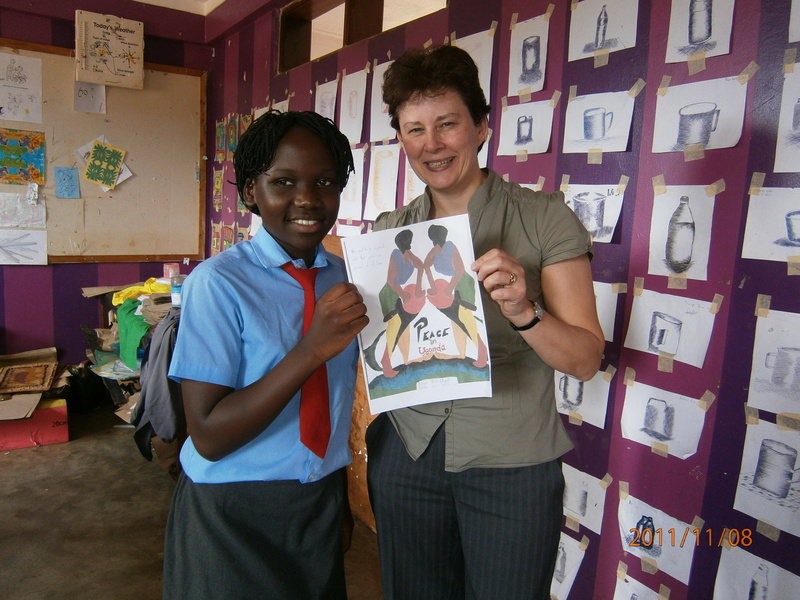 Next I got to meet some of the arts section where I met Radondo who drew one of the Drawings for Uganda. 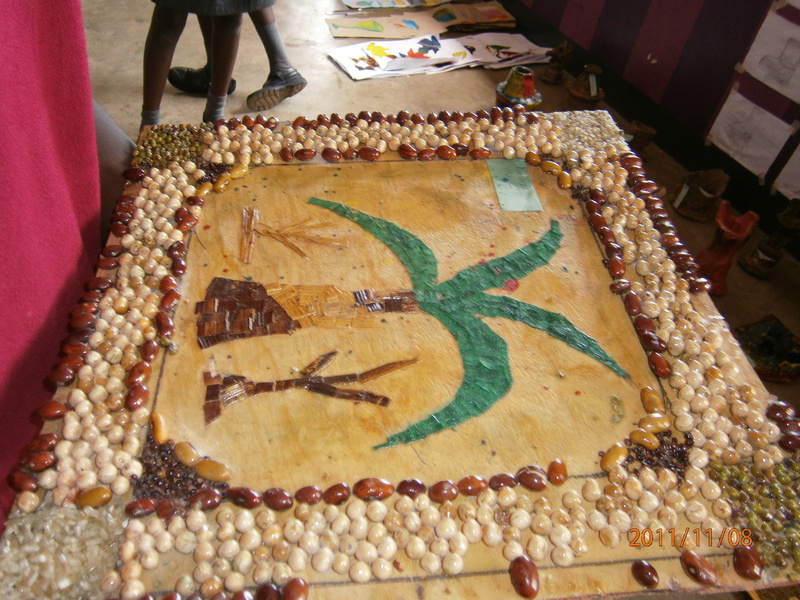 The children are so creative and I was shown many different means of creating art work. 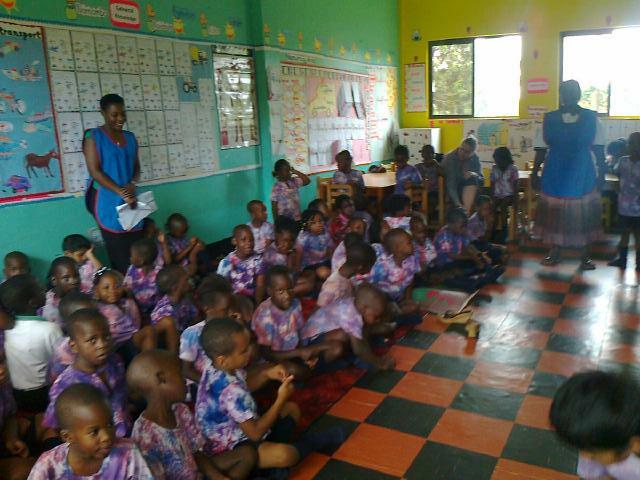 We visited a childrens orphanage home where they have many children under the age of 2 that have been left abandoned. The police then take them to this home where they await to be adopted. 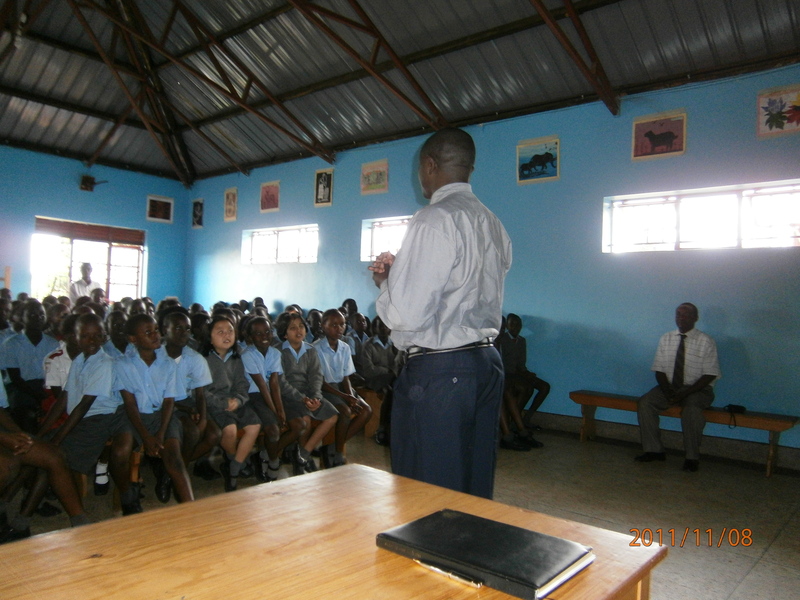 After the orphanage home we attended the hand over to the next President of the Schools Redcross section.Kwizera George explained lots to all the children about the work of the Redcross in Uganda and all around the World. The children on the schools Redcross committee will all learn First Aid,something beneficial for all children. 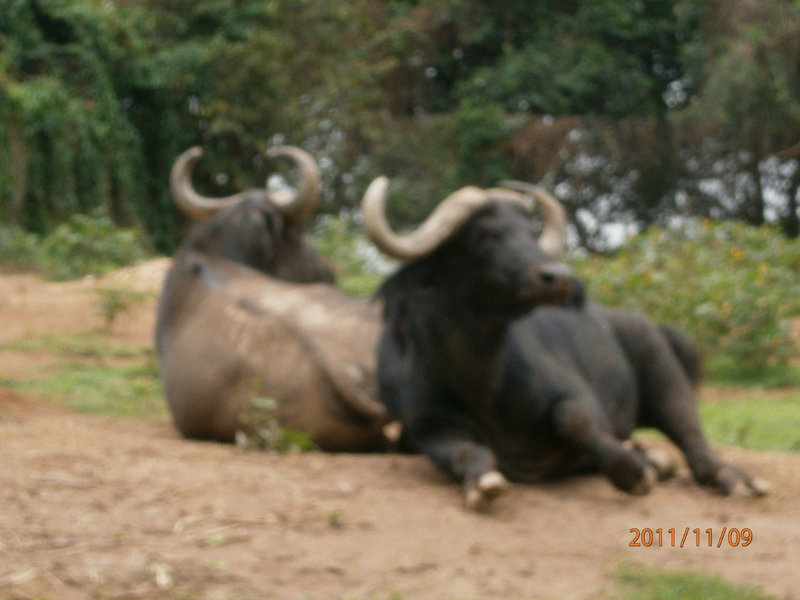 Next day we went to the Wildlife Education center in Entebbe with the Wildlife group from the School. 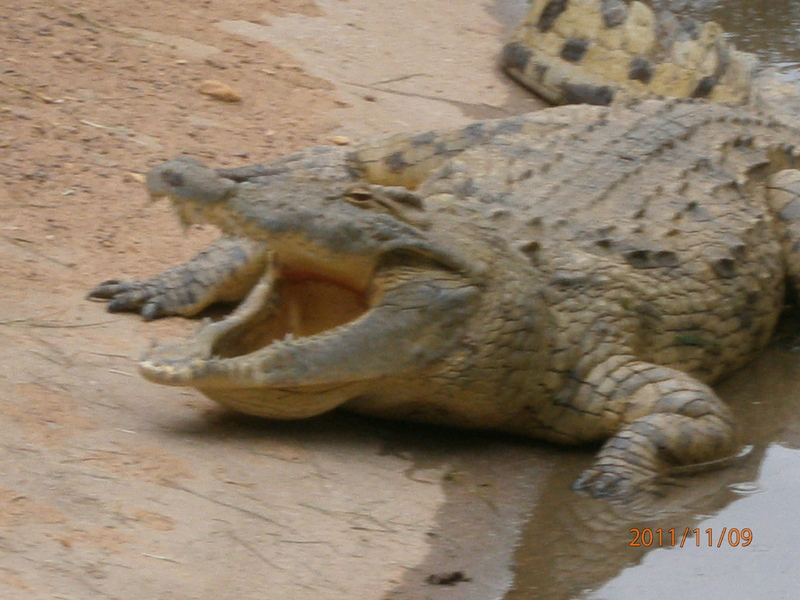 This was next to Lake Victoria one of the largest lakes in the world but is THE largest tropical lake in the World. The children had fun here and learned loads from the guides. After the wildlife trip we all then headed back to the school where Teacher George, The art Teacher and myself judged the many wonderful Peace Drawings and poems. There were so many but eventually 2 were chosen,though many of the others would`ve been worthy winners too. Most of the poems were on the lines of It is time for the World to wake up,children of Africa did not ask for unrest in their country and they so want Peace! They are up for doing skype too, this is a go ahead school and deserves our full support. Thanks so much to The Director and her family for their Total hospitality, I loved every minute of your company and even though it was just 2 days, you made a huge impact on my life. I am more determined than ever for children to have the Voice of Peace heard across the World. Peace For Africa and her children. Hi Trish – the photographs and accompanying networking prompts are wonderful. Thank you for sharing. I’ve uploaded it to my Twitter account. Hi Trish it is wonderful to hear from you. how is your family and when do intend to come over? We miss you and guess what we got a new headteacher and hope for better. By the way any news on volunteers? Kind regards. Rose.